When operating a business, processes are the key to success. Making sure things are done the same way each time helps to avoid errors and malfunctions. Once a process is in place, however, many companies find that they become stuck operating without any significant improvement over time. To help combat this issue, many people turn to Six Sigma, which is a proven process improvement methodology. 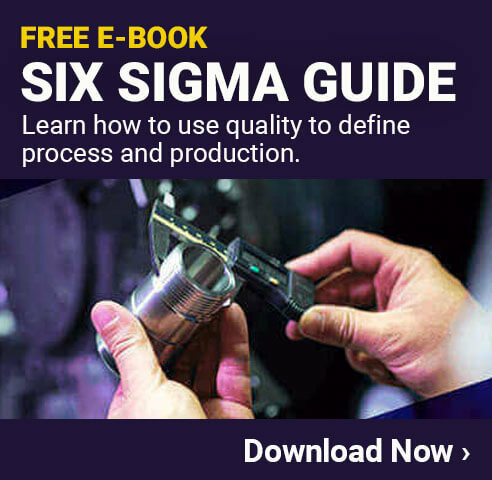 Six Sigma is designed to create improvement on all processes by working to identify defects and waste, and then finding ways to eliminate them. When done properly, processes will have minimal variability in the items produced. Through constant effort, a process should reach the Six Sigma level, which is when 99.99966% of all opportunities to produce are done so without any defects. This works out to be 3.4 defects per million. This is an interesting approach because it sets a set goal that is just short of perfection. Many companies have found that having this type of more realistic goal in place, employees and those working on the process improvement are more motivated to accomplish the goal. 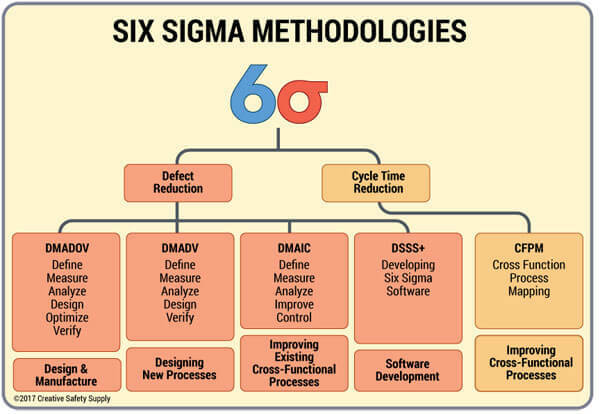 Six Sigma was first introduced back in 1986 by Bill Smith & Mikel J Harry, who were working for Motorola. They worked on improving the system over time, and by 1995, it became an essential business strategy for General Electric. While it is a newer business strategy compared to many others, it can actually be used alongside many strategies such as Lean, 5S, Kaizen, and many others. Over time, the concepts within Six Sigma have been improved and standardized until the system we have today. White Belt - This is the introduction level to Six Sigma. These people won"t run projects or even be officially part of a Six Sigma project team, but they have a basic understanding of the concepts. Yellow Belt - Yellow belt members will work as a project team member, review processes, and support the team. Green Belt - These individuals work on the team of black belt projects, and lead Green Belt level projects. They can also provide guidance to lower belt levels. Black Belt - Black belts lead problem solving projects, provide coaching to others, and are generally seen as leaders within a company. Master Black Belt - Master Black Belts spend most of their time training black belts and green belts. They can also be involved with the Six Sigma program to develop metrics and strategies. Law of the Market - This is a simple way of saying that customers always must be put first when it comes to manufacturing products. No matter how great or innovative a product is, if customers won"t buy it, the product will be a failure. Law of Flexibility - To the extent possible, processes and procedures should be able to be adjusted and improved as needed. If the market changes or a better process is developed, it should be as easy as possible to make the necessary changes. Law of Focus - Focusing on the problems within a company can help to discover solutions. No matter how bad a specific problem, or problem area is, it is important to remember that the rest of the facility is likely operating smoothly. Focusing on the problems can improve efficiency and reduce waste. Law of Velocity - Processes that have dozens of steps or details that need to be performed, it is likely too complicated. Keeping things moving along smoothly helps to keep production moving along quickly. Law of Complexity - The more complex a process is, the more problems could occur. Keeping processes as simple and straight forward helps to avoid a wide range of problems, and minimized the amount of waste that is produced. Another important principal of Six Sigma is the DMAIC process. 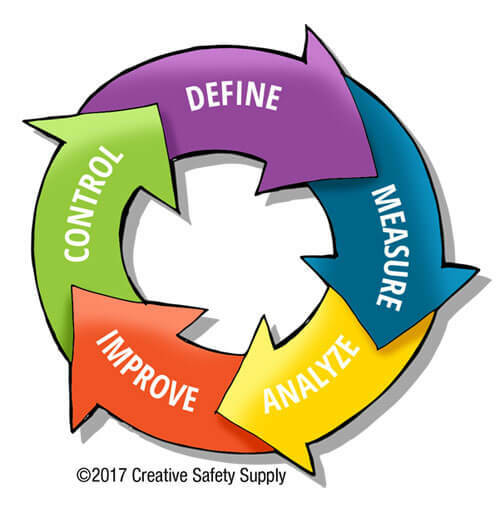 DMAIC stands for Define, Measure, Analyze, Improve, and Control. It is the process by which improvements should be made to any system. In the design phase, a business problem needs to be identified, and then the requirements for fixing the problem should be listed. It is then necessary to measure how things are currently running so that there is data needed for establishing a baseline. This is important so that it is possible to know how effective any changes actually are. This is just a simple introduction to how DMAIC is used within Six Sigma. Many companies like having a Six Sigma "Zero Defect" thinking poster hanging up, which can serve as an excellent reminder of this process. Commit - It takes a lot of effort to successfully implement Six Sigma into any company. In order to do it right, it is necessary to have 100% commitment to its success. Reward - Incentivizing people throughout the facility to do their best to make this system a success can help to overcome many of the initial obstacles that may be faced. Evangelize - Taking the time to talk to people, especially skeptics, about this process and why it will not only help the company, but also help employees, is very important. The more buy in that can be found in the beginning, the more successful the implementation will be. Aspire - Set all goals high. Identify what types of industry standards are in place, and seek to beat them. 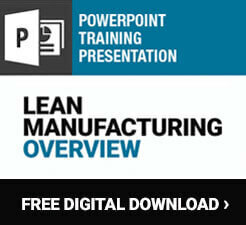 Train - Offering employees at every level the Six Sigma training they need is essential. In addition, any training that is necessary for the changes that come as a part of implementing Six Sigma will also help to ensure everyone is happy with the adjustments. Empower - Give employees the authority needed to get to the root cause of problems. If employees believe they will get in trouble for stopping production to investigate a defect, they aren"t likely to do it. Six Sigma doesn"t have the same type of "tools" as many other systems around today. This is because it is a process improvement strategy, so the necessary resources will vary significantly based on the process that is being looked at. Some companies find Six Sigma software helpful as it allows them to easily track how things are done every step of the way. Keeping all the data from the DMAIC process will not only help to ensure changes are correctly made, but it will also make the measurement of these changes over time much easier. Companies can often pinpoint exactly how much improvement a change in process has created over the course of months, or even years. Other types of tools for Six Sigma can include training products such as books and DVDs. These types of products can make it much easier to help employees to understand what Six Sigma is, and how it will benefit their position and the company as a whole. Companies can benefit from having multiple options for improving processes. Whether a company chooses to focus on learning one of these systems at a time, or uses each of them in their proper places right from the beginning, it is good to be aware that they exist and how they can be used. The above image gives an extremely high level overview of what the different types of Six Sigma techniques are, and where they should be used. When done properly, the Six Sigma techniques can help to revolutionize virtually any company.